Comments Off on Fewer monarch butterflies in Mexico and important paleontological finds in Chile and Uruguay. 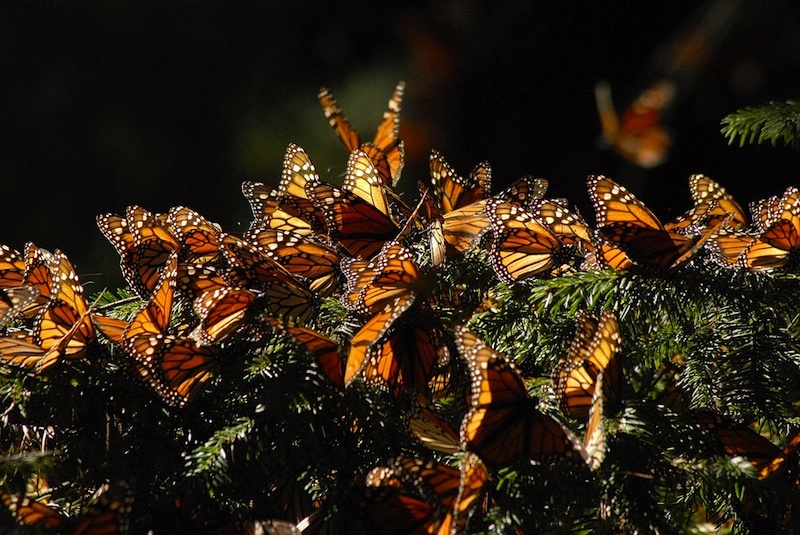 There has been a reduction in the number of monarch butterflies migrating this year from the U.S. and Canada to Mexico and also a 10-day delay in their arrival to Michoacán. This is due to unusually wet weather and a reduction of the weed called “algodoncillo” where the species lays its eggs. There has been a 10 day delay and a reduction in the number of monarch butterflies migrating this year from the U.S. and Canada to Mexico. Credit: Stephen Miller via Flickr. Using corals taken from the Mexican Caribbean, UNAM scientists are working to repopulate reefs. This conservation project began by studying the effects of ultraviolet light on coral and includes four thousand colonies from three different species. Paleontologists have found the world’s southernmost fossilized dinosaur and plant remains in Chile’s Magallanes region. The specimens include hadrosaurs. Notofaghus leaves from around 66 million years ago were also found. The work on Uruguayan paleontologists calls into question the hypothesis that the first humans came to the Americas via the Bering Strait 17,000 years ago. The researchers found bones dating back 30,000 years in a town near Montevideo, Uruguay that suggested the presence of humans due to tool marks. The first genetically modified crop developed entirely in Brazil will be available to growers next year according to its developers at Embrapa. The crop are beans resistant to a virus transmitted by the whitefly. This development has passed all stages of biosecurity and is intended for small producers who have come to lose 100 % of production due to viruses. The potato genome has been mapped by an international team of scientists that included Argentines from the INTA, the National Institute for Agricultural Technology. The group hopes to identify specific regions of DNA responsible for agronomic characteristics and those of interest to breeding programs.